It's just a couple of week, Songkran, Thailand's annual festival will start from April 13 to 15. 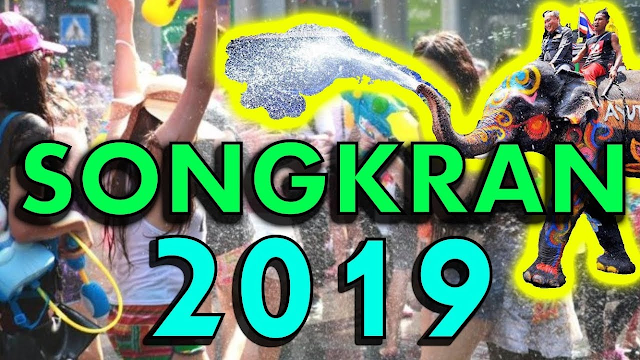 However, this year world's biggest water fight will be a little bit limited to other areas as Bangkok's capital called off its celebrations to pave the way for the crowning event to Thailand's new king from May 4-6, 2019. Even Songkran foam parties for this year are being banned for public safety. The use of high-pressure water guns and the consumption of alcohol at the celebration venues is prohibited. Atleast 2,000 police officers and related officials will guard 49 Songkran venues across Bangkok where thousands of tourists are expected to join the annual celebration. Authorities urged travelers not to wear "revealing clothes" to help prevent sexual harassment. Thai traditional activity especially in Lumpini Park which is close to Silom road, the sacred Phra Buddha Sihing Buddha statue will be brought from the Phutthaisawan Throne Hall and moved around the city to pay respect during the Songkran festival.